CANYON, Texas (March 30, 2017) — Spanky and Amy Assiter, two of the nation’s best known automobile auctioneers, will launch a Dealer Only Automobile Auction to market trade-ins in west Texas. Assiter Auto Auction will conduct auctions every other Tuesday, starting Tuesday, April 11. “For years, area dealerships have been asking us to do this, and we finally decided the timing was right. So we’re really excited to be doing what we love, and providing an effective market where franchise new car dealerships can connect with wholesalers and independent auto dealers,” said Spanky Assiter. The auctions will be conducted at the Assiter Auction facilities at 16650 Interstate 27, Canyon. “These will be live onsite auctions, with online absentee bidding and live online simulcast bidding,” said Assiter. Spanky’s career in the auto auction industry began in 1983, and he quickly established a nationwide reputation, conducting weekly auctions for Ford, Chevrolet, Toyota, Nissan, Chrysler, GM and others throughout the United States. He was crowned World Champion Automobile Auctioneer in 2005. Spanky and Amy both are also winners of the National Auctioneers Association’s International Auctioneer Championship. 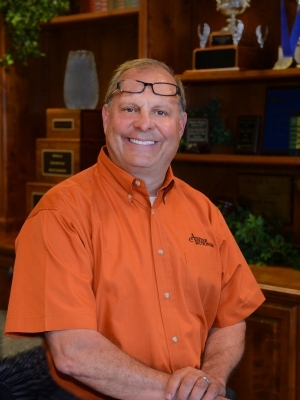 Assiter Auto Auction will be part of Assiter Auctioneers, which will continue to market residential and commercial real estate, machinery and other assets through live and online auctions. “Amy and I have dreamed of taking this step for years, and it’s a natural extension of our businesses. The demand has been there for some time. We had the facilities, the staff and decades of experience, so this decision was a no brainer,” said Assiter. Franchise dealerships may consign vehicles and dealers may register for the auction by calling 806-655-3900.